Twenty-one of the uncontacted Indians known to use the reserve recently made off-limits to oil and gas companies. 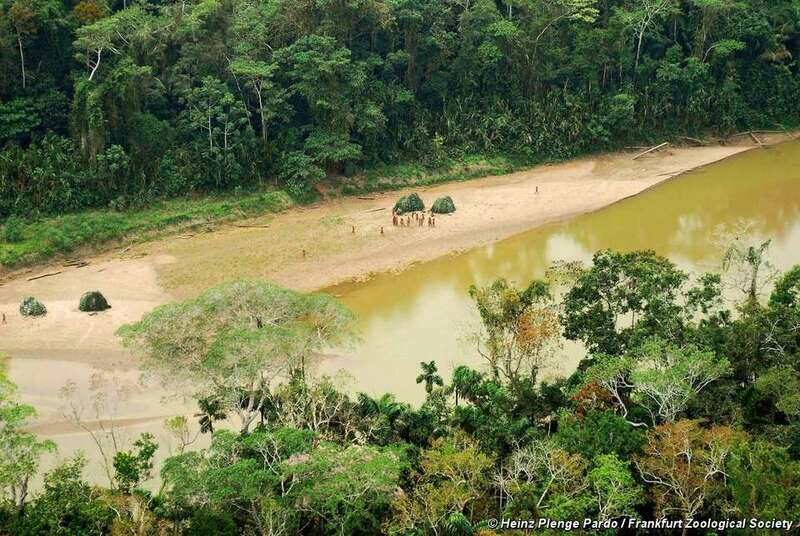 A reserve inhabited by uncontacted tribes in the remote Peruvian Amazon can no longer be explored by oil and gas companies. The Madre de Dios Reserve was created in 2002, but three years later a Chinese company, Sapet, was given permission to work there in an area known as ‘Lot 113’. Sapet’s contract has now expired and, according to a Perupetro map dated 31 December 2009, the reserve is not to be included in the latest ‘auction’ of land to companies currently scheduled to be held in May. 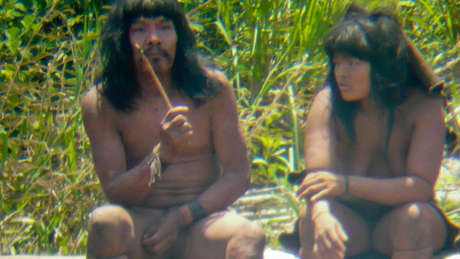 Twenty-one of the uncontacted Indians who live in the reserve were photographed from the air just over two years ago. ‘The news of the definitive elimination of ‘Lot 113’ from Perupetro’s oil maps is an important decision because, as well as guaranteeing the integrity of isolated peoples in Madre de Dios, it is an excellent precedent for the protection of isolated peoples in other regions and countries whose territories are included in oil lots,’ said local indigenous organization FENAMAD. In 2006 Sapet agreed not to work in the reserve after lobbying by FENAMAD and national indigenous organization AIDESEP. But Perupetro maps described the reserve as open for exploration until very recently. 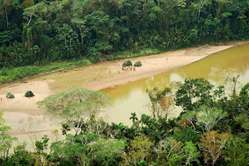 In many other parts of Peru the government continues to allow companies such as Perenco, Repsol YPF and Petrobras to work on uncontacted tribes’ land.